Beauty Benefits at Bloomingdales — Geoff Howell Studio Inc. The main avenue inside Bloomingdale's Cosmetics department is called B'way. Although technically it's an abbreviation of Bloomingdale's Way, Iyt's also a reference to Broadway. 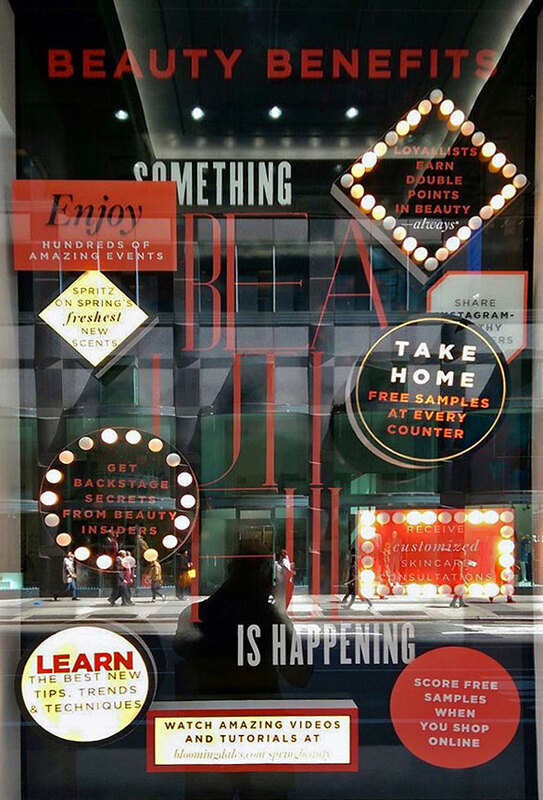 Thus for the launch of the new Spring Cosmetics offerings, we were asked to produce and install Broadway-like lit signage, for the length of B'way. A similar motif was created for two of the Lexington Avenue Bloomingdale's windows.